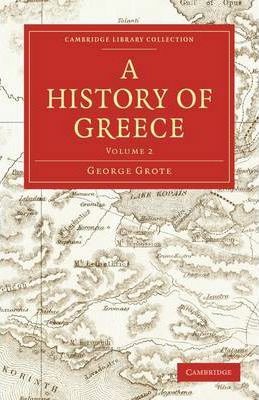 Widely acknowledged as the most authoritative Victorian study of ancient Greece, George Grote's twelve-volume work, begun in 1846, established the view of Greek history which still prevails in textbooks and popular accounts of the ancient world today. Grote employs direct and clear language to take the reader from the earliest times of legendary Greece to the death of Alexander and his generation, drawing upon epic poetry and legend, and examining the growth and decline of the Athenian democracy. The work explains Greek political constitutions and philosophy, and interwoven throughout are the important but outlying adventures of the Sicilian and Italian Greeks. Volume 3 reviews the world which the Greeks knew, and to which they sent colonies, and discusses their neighbours around the Mediterranean and Black Sea, from the Egyptians to the Scythians, and from Persia to what is now France.